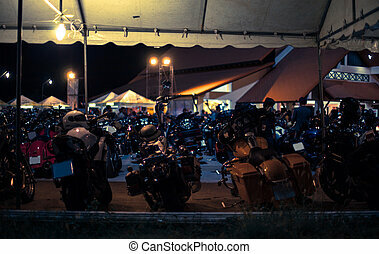 Bike show. 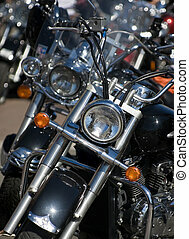 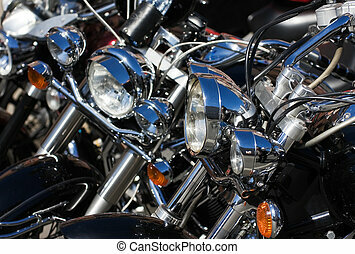 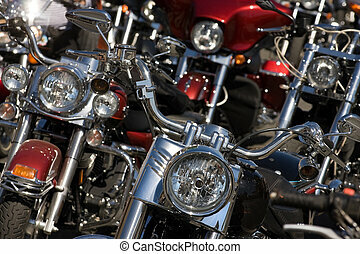 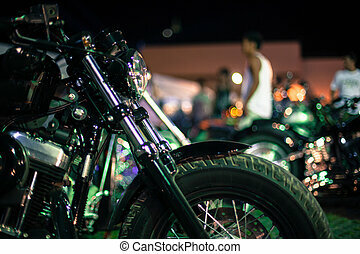 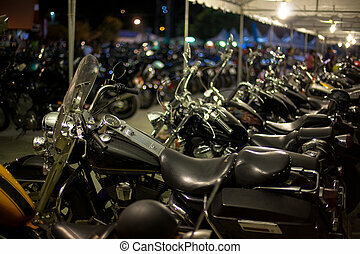 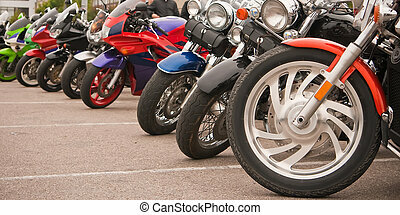 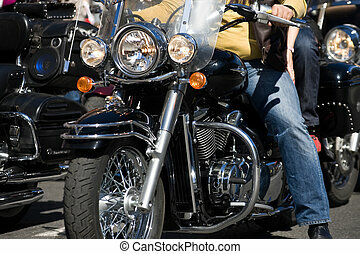 Bikers at the bike show - - small depth of field. 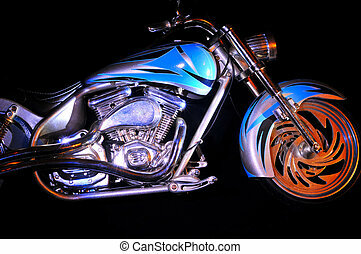 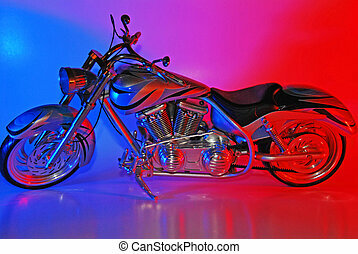 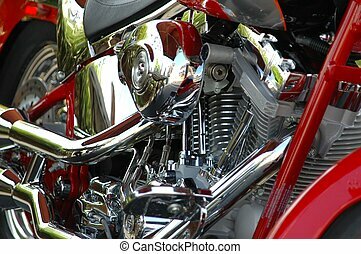 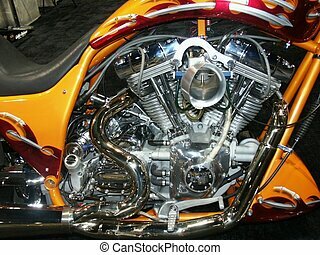 Photographed motorcycle at local car show Florida. 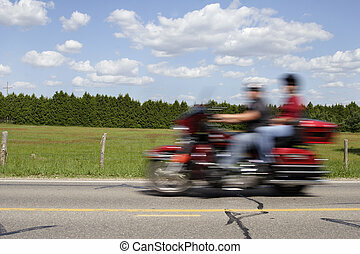 Couple on a motorcyle blurred to show motion against a green pasture and bright blue, summer sky. 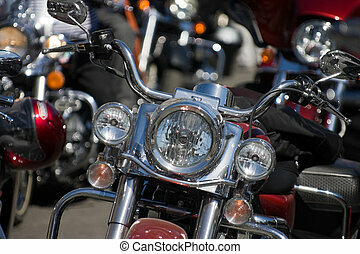 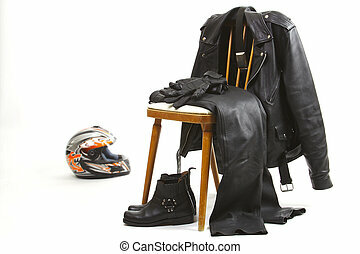 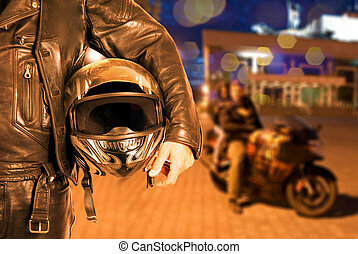 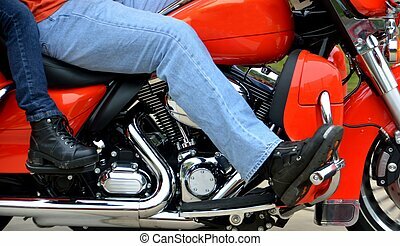 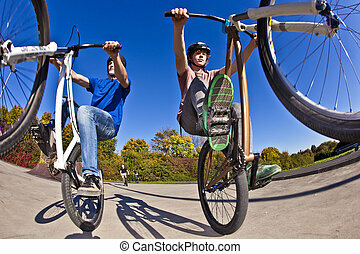 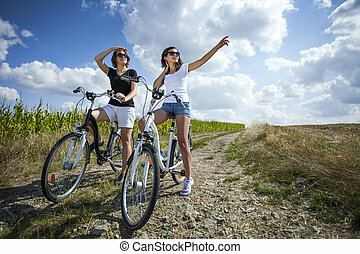 Motorcycle bikers driving by showing a different view or perspective.